The Guardian is the largest of our floating cranes. 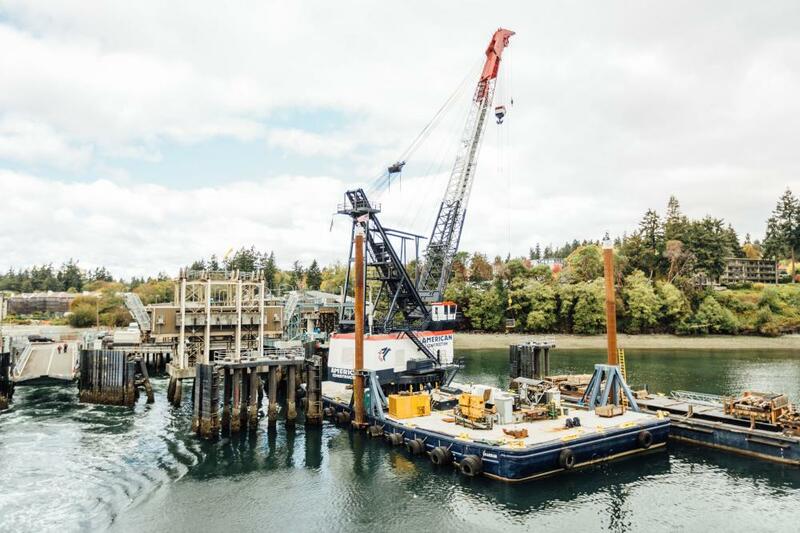 This 200 ton capacity floating crane easily drives challenging piling, can lift transfer spans, and conducts dredging operations. 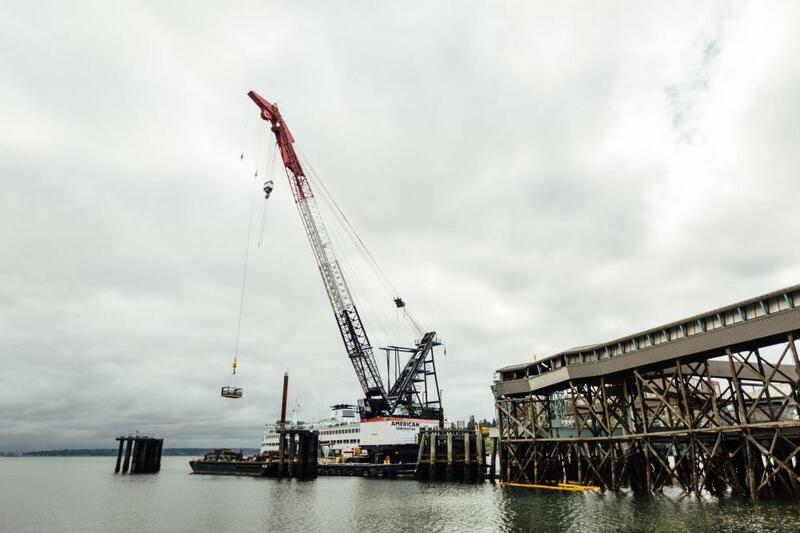 This crane was originally bought on EBay from the Washington State Ferry System and shipped to our Tacoma, Washington yard. 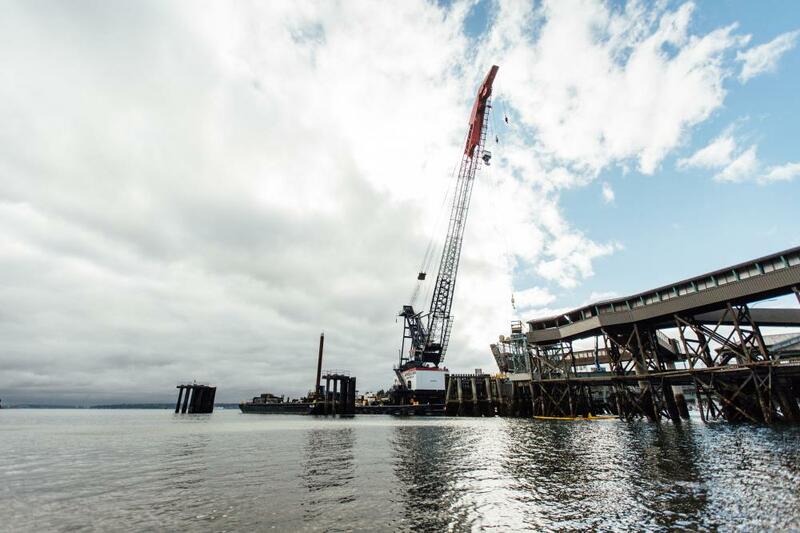 The American Construction team then assembled and built the crane from the ground up and created the largest and most powerful of the American Construction floating fleet.